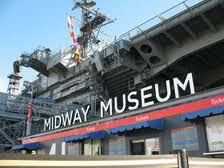 The USS Midway Museum is an unforgettable adventure for everyone! Enter the floating city at sea and walk in the footsteps of 225,00 Midway sailors who have served our country and upheld the American ideals of strength, freedom, and peace. Guests have the unique experience of exploring more than 60 exhibits illustrating 25 restored aircraft and the opportunity to board one of three flight simulators! Enjoy the carrier at your own pace with the self-guided audio tour, narrated by Midway sailors, that brings the Midway’s history to life! Posted in San Diego | Comments Off on Experience Life at Sea Without Leaving Port! Ever been to the Dry Tortugas? Trips on the Yankee Freedom Ferry are about family fun, history, eco tours, and educational activities! Just 70 miles west off the Key West coast, Fort Jefferson offers sun bathing, snorkeling, strolling, and walking through the historic fort itself. You can peer into the clear waters to watch tropical fish, starfish, and so much more! Posted in Key West | Comments Off on The Yankee Freedom! 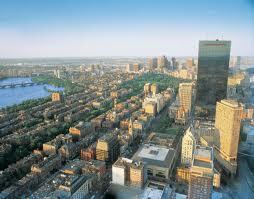 Want to dine 52 floors above Back Bay? Enjoy Top of the Hub’s award winning cuisine, service, and ambiance of comfort, sophistication, and of course, the incredible view of Boston’s best skyline. It’s true one-of-a-kind dining experience! Take advantage of brunch, lunch, cocktails, and dinner while listening to live jazz in the longue or dancing on the floor! We have so many talented folks our on staff. Meet some of the here and find out why if you don’t take an Old Town Trolley Tours is the only way to see our Nation’s Capital. Did you know that the Whetstone Chocolate Factory originally opened in 1966 by two lifelong Florida residents? It was a small ice cream store on St. George Street and the two owners later created a homemade fudge recipe. 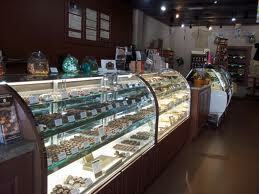 Now, the Whetstone Chocolate Factory sells unique and decadent artisan chocolates. Tours educate guests about the growth, harvesting, and production of chocolate and about the different varieties of chocolate. Come take the tour! Your visit won’t be as sweet anywhere else! Want to experience exotic waters and sea creatures? Great! Take a trip to the New England Aquarium and view over 70 exhibits featuring aquatic life from around the world. Greet penguins, touch a ray, walk through the Giant Ocean Tank, and watch the Northern Fur Seals in action! 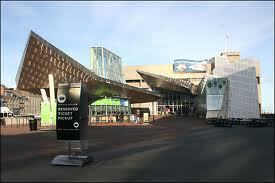 The New England Aquarium has been dedicated to the conservation and protection of ecosystems for more than 20 years. It is also a facility that specializes in educating its guests in making responsible choices when it comes to seafood and the environmental impact of human action! Posted in Boston | Comments Off on Under the Boston Sea! 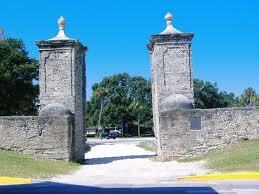 Or… just visiting the City Gates of St. Augustine would work too! The Old City Gates lie towards the north end of St. George Street and were at one time the only entrance into St. Augustine! It is a truly striking site composed of two ancient columns made of stone, which were built in 1808 as a line of defense for the city. They are a reminder of the turbulent times faced by the first American colonists and are a true landmark of America’s Oldest City. Posted in St. Augustine | Comments Off on Breech the Gates! 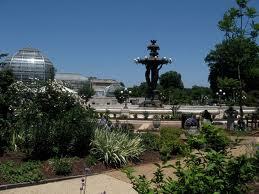 The United States Botanic Garden is a botanic garden located on the grounds of the US Capitol! It is supervised by the Congress through Architect of the Capitol, who is responsible for maintaining the grounds of the US Capitol. The garden is open every day of the year, including federal holidays! Wow! And it’s the oldest continually operating botanic garden in America. 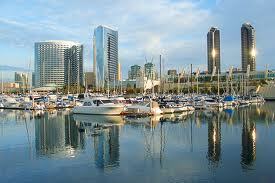 Want to tour the San Diego Harbor in a more relaxed fashion? San Diego Cruises offer an abundance of different styles of cruises, one for every taste! Enjoy dinner cruises offering culinary excellence, incredible sights, music, dancing, and history! Sample varieties of breakfast and lunch dishes while inhaling the fresh, sea breezes and narrated bay cruises! Perfect for families, couples, and organized groups! Posted in San Diego | Comments Off on Cruise, Sip, Dine! Did you know that in 1779 French, Haitians, and American troops fought against British soldiers who were defending Savannah? 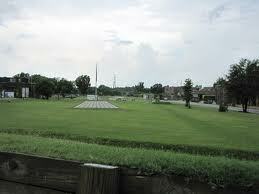 Many of the dead from this skirmish were buried where they fell without a tombstone to mark their graves or names! More than 800 troops from each side were wounded or killed. Currently, the Coastal Heritage Society of Savannah is working to create a moving memorial in tribute to the soldiers who died in the Battle of Savannah. Posted in Savannah | Comments Off on Savannah’s Battlefield Park! You are currently browsing the Old Town Trolley Tours Blog blog archives for June, 2013.